From the heart of the Po Valley, the origins of quality. 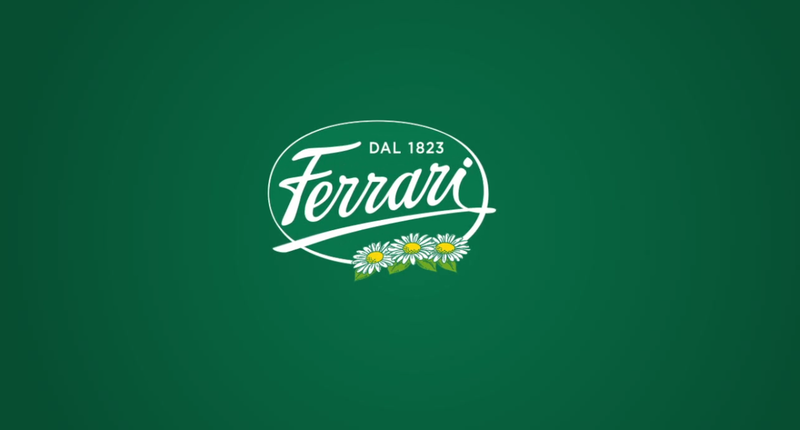 The birth of the company dates back to 1823: in the middle of the Po Valley, the richest land in milk of Italy, was born a small dairy factory. 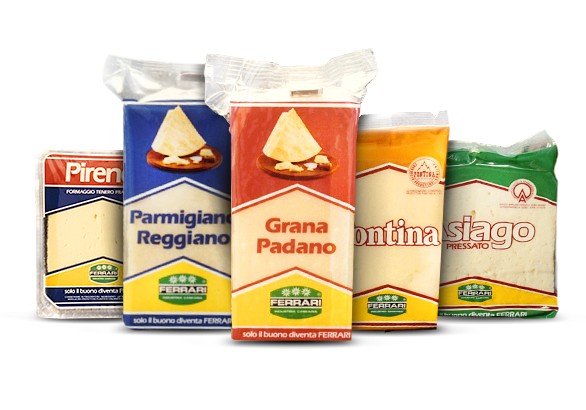 At that time, it was impossible for producers to carry or conserve the milk, and it was mainly laboured in big farms or transformed into butter, mascarpone and hard cheese commonly called "grana". That was the way by which the dairy farmers living in Lodi and its proximity started learning the art of producing cheese. 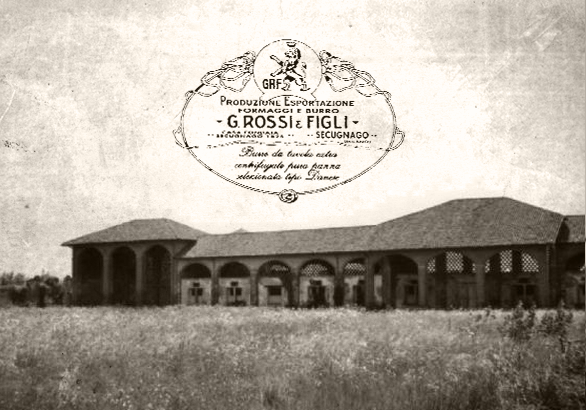 Peppino Rossi cherished this tradition and decided to buy out the dairy factory. 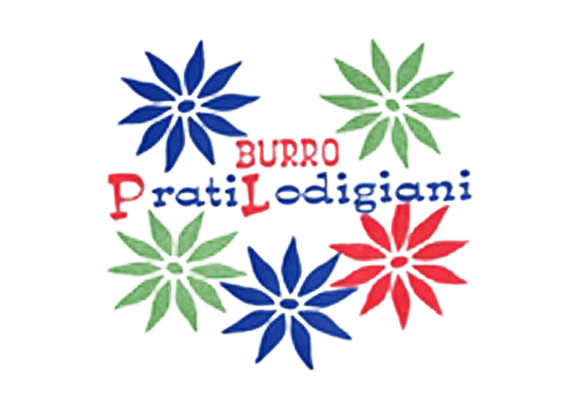 He grasped the importance of the brands and started with the production of " Burro Regina", a high quality butter. 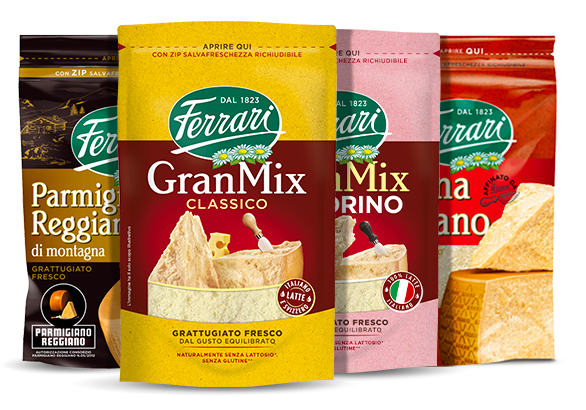 With his speciality and other products, Silvio Ferrari, Peppino's nephew, crossed Lombardy's borders and his products even reached the "far" Naples. After the Second World War, the local production was then accompanied by imported foreign cheese. 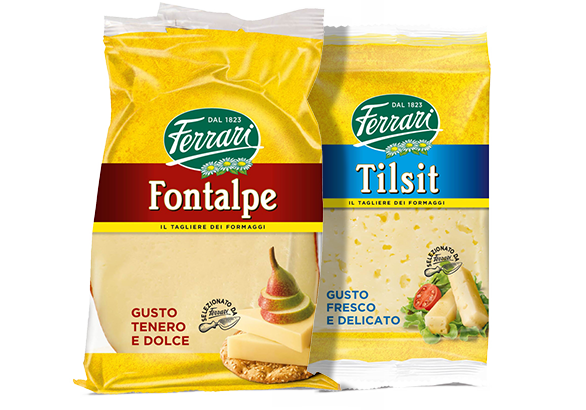 FIRST FACTORY IN ITALY IN HIGH QUALITY GRATED CHEESE. 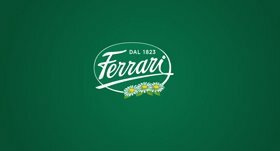 When Giovanni Ferrari decided, during the 60's, to take over the management of the company, there was a deep turning point. The Italian dairy factory was transformed into a modern building, ready to fulfil the innovative mission and to react to the changes of the market. 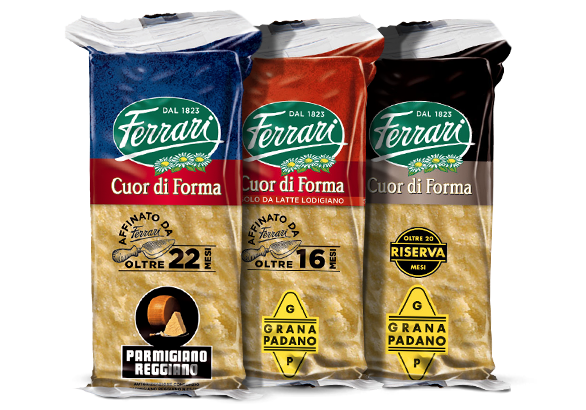 Giovanni Ferrari chose a brand new strategy: he wanted to offer the Italians cheese with the most technically advanced methods of packaging, always with a high level of quality. His choice allowed the company to gain an extremely important role in the market cheese and to attain a constant growth. 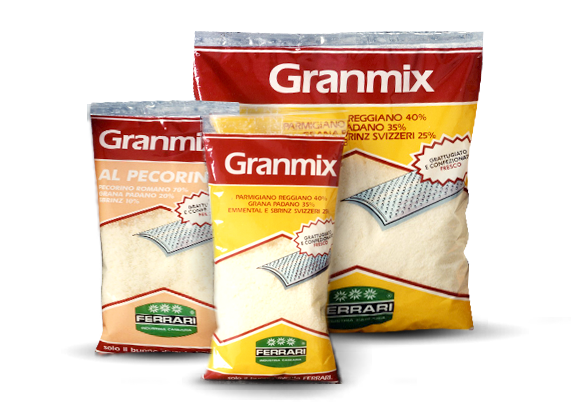 During the 80's Giovanni Ferrari creates an innovative product that changed forever the sector: GranMix Ricetta Classica, a blend of exquisite cheese like Parmigiano Reggiano, Grana Padano and Emmental Svizzero, freshly grated and packed altogether. A TRADITION THAT REINVENTS ITSELF. 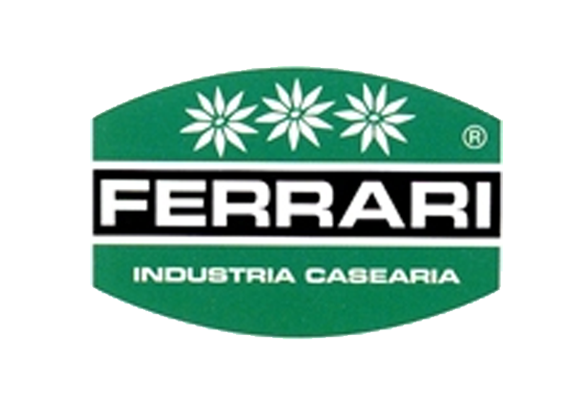 Nowadays Giovanni Ferrari Spa has two productive units ( the first one in Ossago Lodigiano and the second one in Fontevivo di Parma) and it puts a lot of effort, with the same passion of always, into believing in the elements of its essence: quality, service, reliability and transparency. As the time went by, we created new products ready to fit the new consumers's needs. 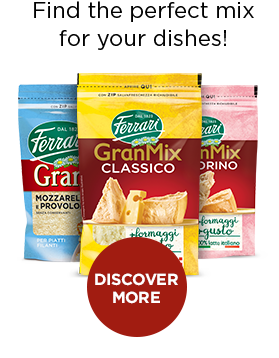 Slices, flakes, cubes and new Granmix recipes bring every day fantasy and taste in the Italians' kitchens, while new convenient packages, like Fresco in Tavola, improve the products conservation and comfort in use. To suit the request of security and transparency, Ferrari invested in facilities and human resources. 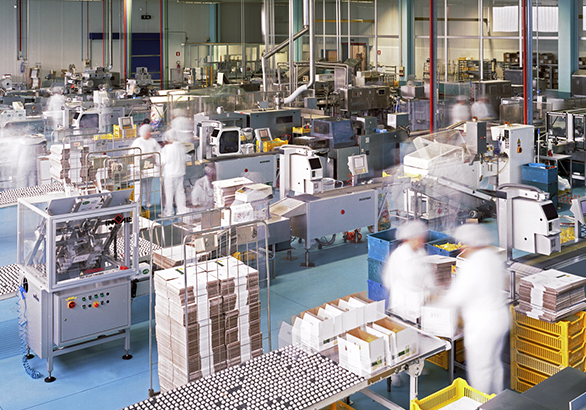 Since 2001 our company has implemented a computerized product traceability system that enables to trace back the product from the portion to the raw material and vice versa. A new generation, Silvia, Laura and Claudia Ferrari now manage the company, sharing the same vision and perspectives for the future. Ferrari will continue to be a benchmark, always focusing on the importance of tradition and with the awareness of an environment that continuously changes and renovates itself.